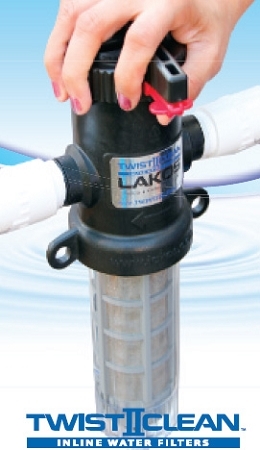 Just a gentle 1/4 TWIST of the handle Lakos backwashing screen filter begins the patented reverse flushing action. Just a few seconds later all debris are cleaned off the fi lter element automatically and flushed from bottom port. 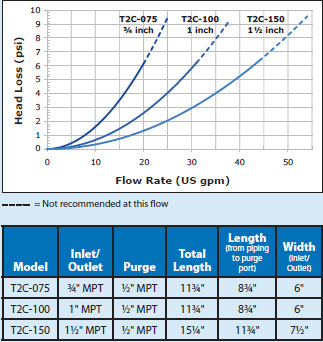 This strainer filter come standard with the 140 mesh (105 microns) screen. 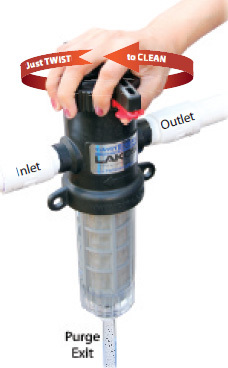 Big Brand Water Filter stock all sizes of stainless steel strainer screens from Lakos including 140, 100, 60 and 30 mesh screen sizes in addition to the neoprene cover to prevent UV sunlight from causing algae buildup inside the unit.